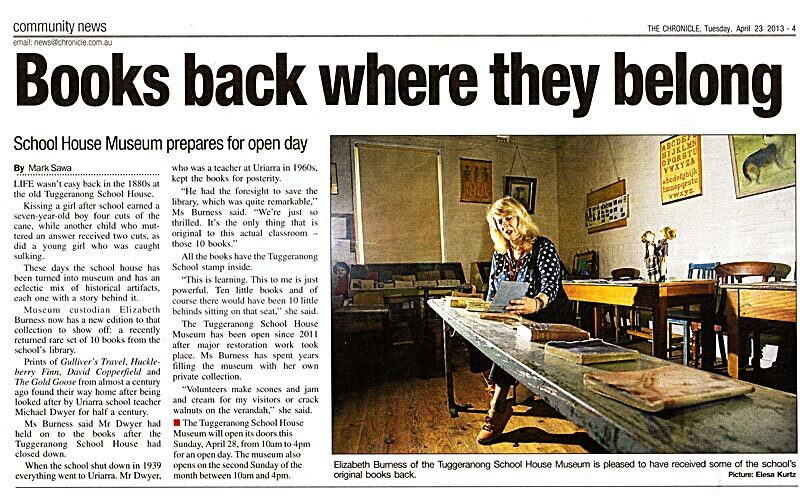 Nestled under Simpson’s Hill for 130 years, in the southern suburb of Chisholm, the old Tuggeranong Schoolhouse is now open to the public. from 10 until 4, and at other times by appointment. Recently restored by the ACT Government, and complete with furniture, artefacts and antiques reflecting Canberra’s pastoral and pioneering past, the restored schoolhouse is a must see! 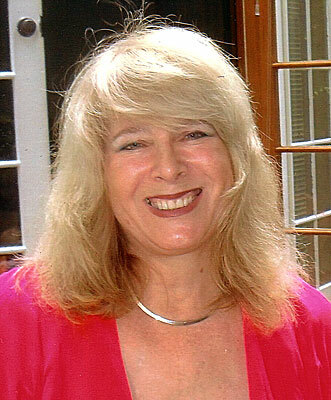 Popular Canberra storyteller, Elizabeth Burness, trading as ‘History With A Difference’, brings stories of Canberra’s pioneering past alive with tales of the old schooldays. The schoolhouse collection, which includes period clothing, highlights the changes in the lifestyles for the families living in the school’s cottage, as well as for its students. Teacher, Francis McGee, stood in that classroom, and lived in the cottage from 1898 until his retirement in 1927! He taught his seven children and Professor James McGee, born in 1903, became internationally renowned for his research in nuclear physics and as a pioneer of television! 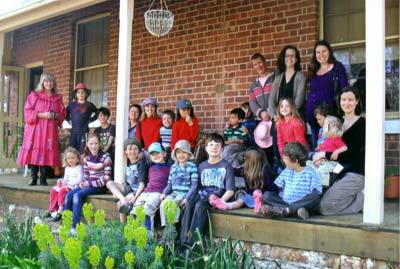 The "Kids" are coming back to the Tuggeranong Schoolhouse Museum! 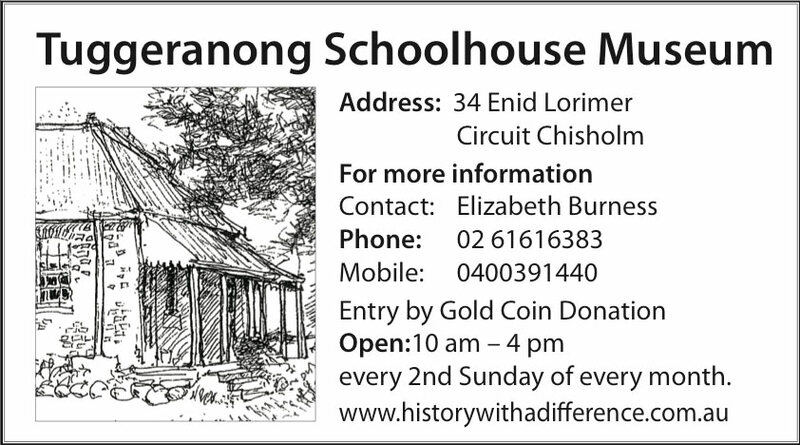 Visitors to Tuggeranong Schoolhouse Museum are welcome on the second Sunday of every month and by appointment. Please note that while the building is owned by the ACT Property Group, the contents are privately owned and curated by Elizabeth Burness. Every effort is taken when the property is open to the public, to ensure visitor safety and enjoyment of this unique museum. Please note the two Insurance Certificates of Currency, and an interim Fire Evacuation Plan. 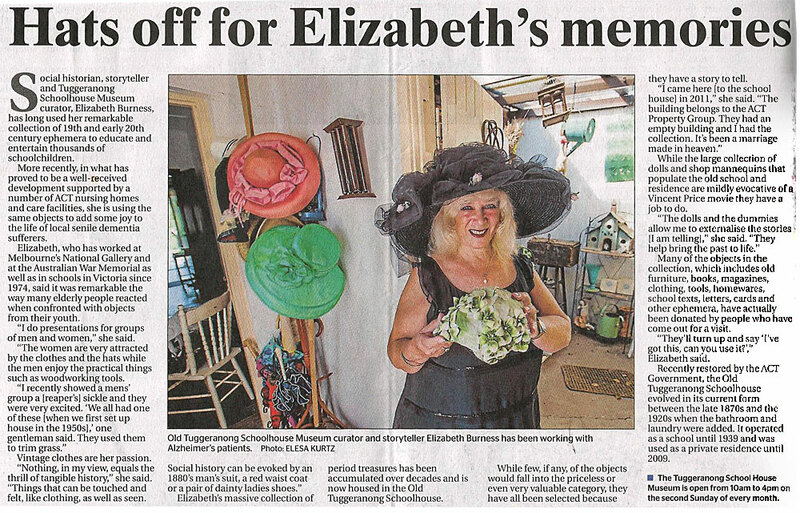 Since opening last year in April 2011 as part of the ACT Heritage Festival, the volunteer run museum has attracted 900 visitors in just over a year. The gold coin donation entry fee goes to defray the cost of the 24 hour back to base security system, electricity and, in the near future, newspaper publicity. The museum has no interpretive signage or captions, rather, visitors react positively to the atmosphere generated by carefully placed furniture and artefacts from the late Victorian and early twentieth century eras. 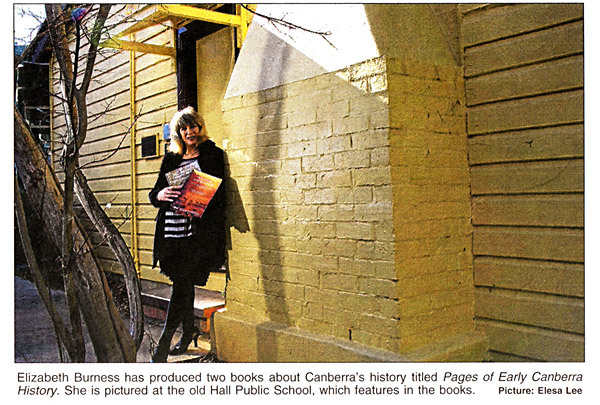 This was a period when the 1880 building was at its zenith, and before its decline just before WW2, when parents with cars chose more modern Canberra schools for their children. Some written material, general information about the highlighted era, advertisements from the era and books and other written material that adds to the atmosphere, have been laminated and are scattered throughout the museum for older visitors to enjoy.